A lot has happened since I last blogged... but the biggest and most important thing is we completed the Allen family by adopting our second miracle Cayson Brett Allen on August 26th, 2014. It's still hard for me to believe how much God chose to bless me, with two wonderful kids. And a fairly easy experience with foster care. That in it's self is a testament to what God can do. Many prayers were said on our behalf and they were felt and very needed! We stuck with it and fought the fight and the rewards are awesome! Some of his fan club! I seriously can't get enough of this mama's boy! He is a light to my life every single day! Aunt Heather and Hunter man! Our first family picture as a family of 4! This Judge done the adoption for Jaxxi also. Such a sweet memory to have. Christmas Eve we decided to go to the Muskogee light festival and the Castle to see all the lights! It was so cold that we asked my Mom to watch Cayson, I just didn't want to get him out in that cold. I Love this girl so much! She loved looking at the lights. We had a really great time and I'm hoping we can make this a tradition with our babies! Carner family Christmas/ New years! We always do Grandma Corene and Grandpa Jack's Christmas the Saturday after Christmas. Me and Jen Love this girl so much! We haven't got to ring New Years in together for 2 years! It was nice to get to spend it with him and get my NYE kiss! We've seen 9 New Years together. I hope to see many more! I love my little family and both my kiddos! Cayson's first time to see Santa and he had no tears! Jaxi third time to see Santa and first time with no tears! Jaxxi hanging up her 2013 Sophia ornament! Cayson and daddy decorating the tree. Miss Jaxxi was bossing us about where to put stuff on the tree telling everyone to be careful. Daddy and Jaxxi at Rhema Bible College looking at lights. They have a lighted tunnel that blinks to music Jaxxi loved it! I love my kids and they are what made my Christmas season! Better late then never with the holiday post I love to be able to look back on all of our holidays as a family! We had Brett and Brenda's Christmas first this year! With Shane's works schedule we have to fit Christmas's in when we can... The day we decided to open presents we got an ice storm and lost power about an hour before dark. So we had to rush and open presents because we had already told the kids they could and we didn't know how long we would be without electric. Aunt Tisha and baby boy! Daddy helping Jaxxi, She loved opening presents this year! Bree ripping into some gifts! After church the next day Cayson was so worn out from all the festivities I had set him in his high chair and turned around to get him a cracker then turned back a round to hand it to him and he had fallen a sleep and then slept in his high chair for and hour and a half!!! This was the only pic I got of mister Preston getting fed at his 1st Boo HAHA parade. 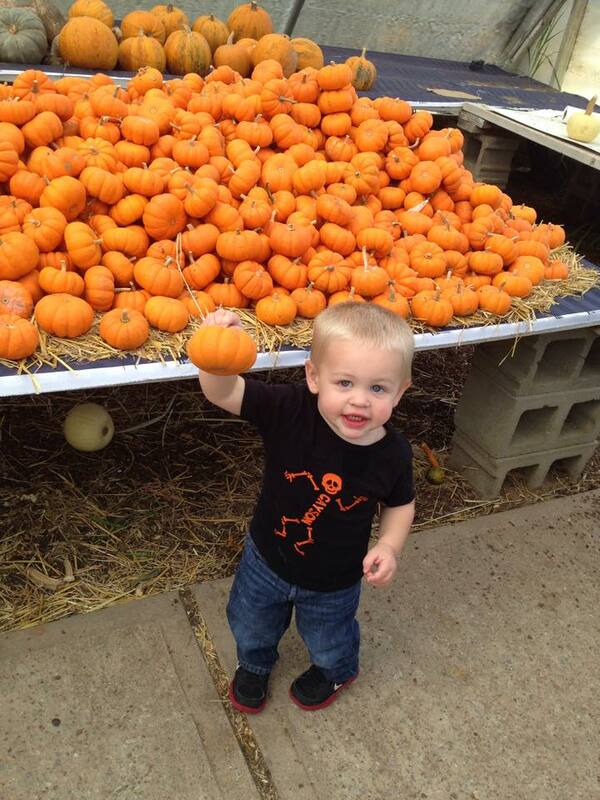 This past weekend we went to Bixby, OK to another pumpkin patch with my sister and my new baby nephew Preston! We had been planning it all October and didn't get to go until the last weekend it was open! She's not so sure about the hay. We were trying to get Nana with all her little grand kids but that didn't happen very easy! Jaxxi was trying to comfort baby Preston! My two cuties playing with a big pumpkin! Our second trip was just as fun as our first. Our babies are growing so fast. There were so many years I wasn't sure I would ever have this. I'm so blessed and thankful for it all! I'm a mom to two beautiful children here on earth and one in heaven. I've been a librarian since 2005, and absolutely love what I do! It wasn't long enough, It wasn't enough time together, but it was long enough to last forever! 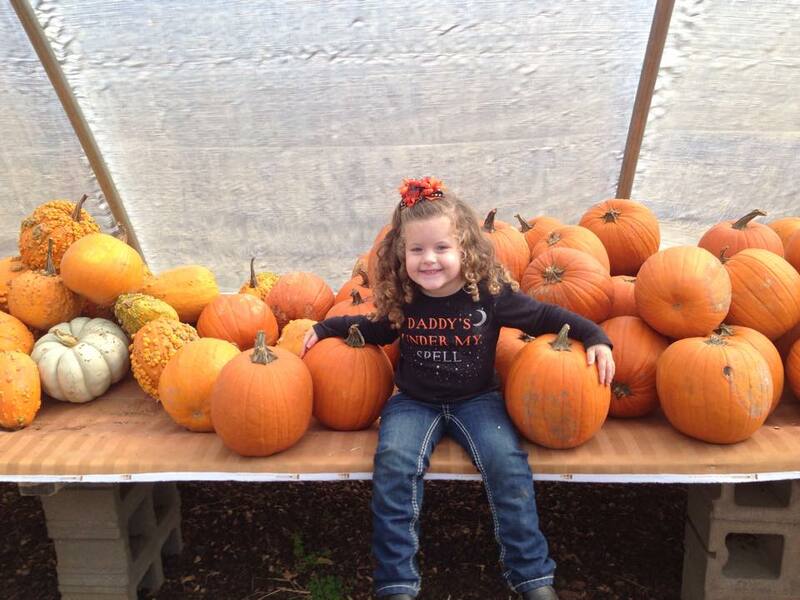 Smart, Sweet, Sassy, Strong Willed, Ornery, Busy, Beautiful, Loving, Best Big Sister, Funny, Full of life and laughter! She is destined for great things! I'm one lucky Mom to have a front row seat for the whole thing! Cute, ornery, so so smart, talkative, fighter, survivor, tough guy, sweet, snuggles, busy, explorer, all boy!! Cayson was diagnosed with a serious heart condition at 13 months. He's had a rough road so far, but if you just met him you would never know... He makes me want to be stronger, and better. He's our little miracle and boy am I glad God choose me to witness his works in action! I Hope You Never Grow UP! Sarah. A photographer and an artist.